My personal experience and more recently working with Fresco Capital’s startups has taught me that no matter how different each business and start-up process might be, nearly all new co-founders and CEOs eventually pose the same important, inevitable question: When do I hire a VP of Sales? My response is always the same: When you really need one. Most co-founders and early CEO's prefer to focus their talent and energy on conceiving and building the new enterprise. The most successful CEOs come from backgrounds in finance and operations.Only 20% of Fortune 500 CEOs started out in Sales or Marketing. Yet many company leaders also necessarily take on the crucial task of generating those early sales. While a CEO may excel at creating connections and relationships, few are sales experts and are typically overwhelmed with the task’s time commitment. So, during start-up and initial operations, when CEOs think in terms of building the company by building a stellar leadership team, they want to pass on those vital sales responsibilities as quickly as possible to a proven sales expert. After all, a good leader should hire other good leaders, right? Although a new CEO and leadership team typically want to hire a proven VP of Sales from a very successful company, making a "Rolex" hire early in the company development -- and paying Rolex prices for the talent -- is not the answer. In fact, poaching an expert VP of Sales by offering a sizeable opportunity and compensation package is counterproductive. While the VP of sales is putting together a team and developing long-term strategies, nobody is focusing on making actual sales. Lots of money going out, none coming in. The results can be disastrous. The VP of Sales and the team are either fired, quit, or the company runs out of money. There is a much better option. 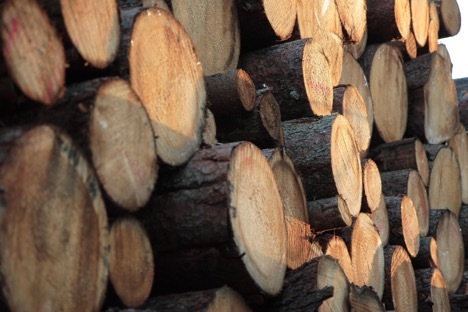 Build your sales team from the bottom up. It may feel counter-intuitive, but the bottom up process is more logical and practical for new companies. It makes much more sense tohire a junior salesperson - someone who will one day report to the VP you eventually hire. The junior salesperson is expected to be out there making contacts and making sales, which is - at this point in time - what the company needs.Look for someone in the industry with knowledge and experience, demonstrated success, and capacity to learn. I know that the CEO is eager to offload the sales process, but recognize you will need to spend time mentoring your new hire, and plan to give them at only 25% of the labor the first month or two. Don't expect them to do all your sales work -- understand that the CEO may still want -- or need - to close these early, important deals and the new hire will only shadow the CEO for the first few weeks, growing into the role. The point is that a co-Founder or CEO should be doing primarily what the CEO alone can do -- especially in sales. After the salesperson starts to take over more and more responsibility and sales start increasing, hire another junior salesperson and start slowly building your team. Most importantly, keep the team focused on generating sales. At this point, allow the team to start building a sales process and choose some tools that fit your environment. So, when do you hire the VP of Sales? The answer is simple: Hire your VP of Sales when you're generating enough sales for a VP to manage and your process is starting to strain at scale. That's when you really need one. That's when it makes sense tohire a mega-talented VP of Sales with exactly the qualities and skills you need. That's when you're ready to recruit a proven, effective leader, someone qualified to create the big vision, continue building a sales force, make the strategic long-range plan, and facilitate the team's success. And that's when you can afford to invest in the best VP of Sales you can find. In the meanwhile, the "Bottom Up" strategy is a better short-term approach in terms of all primary company resources - money, staff, time- and it leads directly to stronger company success in the long term. I was recently in an Uber on the way to the airport when I started chatting my driver up. It turned out he had three similar on-demand kind of jobs—none of which were stable, traditional gigs. This got me thinking: Many of today’s workers, and the younger ones in particular, are more entrepreneurial than their predecessors—despite the fact that they aren’t necessarily bona fide entrepreneurs. More than 20 years ago, I landed my first real job: a full-time entry-level position on Wall Street at Fidelity Investments. Remember? Young professionals used to be able to get entry-level jobs at good companies and climb the ladder. But today, those jobs simply don’t exist, as many lower positions are outsourced or automated with technology. The economy has changed and new hires are expected to come to the job and start producing on Day 1. Hard to do with only a university degree. Altogether, these trends have led to a generational bulge of middle-tier jobs. This area of the workforce is now occupied by people who usually would have moved out of those jobs faster, allowing the younger generation to advance sooner. But now they can't get move upward at all, since folks in the middle tier stay there forever it seems. As a result, more and more people are leaving the lower rungs of traditional employment and are deciding to take part of the gig economy. That way, they’ll get the requisite experience to hit the ground running on Day 1 should they be offered a regular job by an established company. Want to land a job at Pixar? You’ll probably have to freelance for a while (think: YouTube design videos). Should you perform well in that role, you might get picked up full-time. Within the next 5 years, many project as much as 50% of the US workforce will be made up of freelancers. This is both a blessing and a curse of the gig economy—especially as it pertains to younger people just entering the workforce. In the past, even those without a career path would fall into a nice profession simply by following the standard track. But today,you need to be more hustle-oriented and driven to reach just the first rung of many corporate ladders. To be fair, there are exceptions to the rule. The career paths for lawyers and doctors might be the same due to the advanced education and certification required for those professions—and the free market probably won’t (and shouldn’t) change that. Nobody really wants a doctor who’s pieced together experience by performing operations on a gig-basis, right? While the rise of the gig economy has shaken up traditional career paths, it’s also enabled younger workers to make inroads into previously exclusive industries—like venture capital. It used to be that, to get into VC, you needed an introduction from a family member or friend to land an internship. After that, you’d become an analyst. Do well there, and you’d earn your VC stripes. Then leave and go to a fancy Business School and go to a new VC fund as an associate. The better the MBA, the better associate job you’d get and so on. That’s not true any longer. But remember, thanks in large part to the gig economy, there are other ways to meet that entrepreneurial criterion or grab that operating experience that don’t involve b-school. Just take a look at Elon Musk’s story. When he started out, the serial entrepreneur had his sights set on working at Google. He waited outside the company’s Mountain View campus hoping to talk to people and was eventually rejected. Of course, we know how Musk’s story has turned out. He’s started a bunch of big-time businesses, which just goes to show that there are very non-traditional ways to cut your teeth nowadays. At first,the gig economy looks scary. There’s no traditional go-to school to attend to land your dream job. But the gig economy does provide a democratization of talent—work is there, so long as you’re willing to hustle. Graduating seniors should consider the gig economy as a viable means for getting those tougher jobs. The first step to landing your dream job starts with understanding that the economy is changing. The second step? Realizing you need to work harder and harder to beat out the next person. If large companies decide to hire kids right out of college simply because of where they went, they’re going to miss out on the best and brightest workers—it’s as simple as that. More and more young workers are getting their first experience in the freelance economy. If you’re afraid to tap into this pool of talent, it’s only a matter of time before your company will lose all of its competitive advantage. We’re going through a transitional period in the economy, and the traditional means of getting a job doesn’t apply anymore. The sooner both young professionals and their prospective employers understand this, the better off all parties will be. A lot of startups—even ones with enormous valuations—are really just two-sided marketplaces. eBay connects buyers and sellers. Uber connects drivers with those who need rides. Airbnb connects homeowners with travelers who need a place to stay. YouTube connects content creators with those looking to be entertained. Dating sites—like OKCupid—connect daters with dates. The list goes on and on. In each of these two-sided marketplaces, there is supply and demand. There are a finite amount of people selling memorabilia on eBay, a finite amount of drivers on Uber, a finite amount of hosts on Airbnb, a finite amount of (quality) videos on YouTube, and a finite amount of “dateworthy” individuals on dating sites. When companies are just starting out, there comes a time in every founder’s life when he or she has to ask themselves whether their startup is going to focus primarily on enhancing the supply side of the equation or nurturing the demand side. When I mentor early-stage companies just getting started out, it’s a question I get seemingly every day. There’s only one clear answer to the question: Follow the pattern of the most successful startups, and focus like a laser on supply. Why? Switching costs, or the costs incurred—money, energy and time—when a supplier or consumer switches platforms. There are a lot of barriers standing in the way between a seller on eBay and the potential buyer, for example. The seller needs to create an account. Then he or she needs to take pictures of whatever’s for sale. Next, it’s time to create a listing. Finally, the seller needs to cross his or her fingers and hope that a buyer is interested in conducting a transaction with someone who hasn’t been reviewed by peers. Over time, if the seller conducts successful transactions, his or her rating will go up. All of this, of course, doesn’t happen overnight. But once a seller commits to establishing a presence on eBay, it’s unlikely he or she will abandon the platform and set up shop elsewhere. The switching costs are too high. Thanks to technology, the switching costs associated with customers not finding what they want are negligible. Imagine a customer goes to eBay and finds only one seller offering the item he or she is looking for. Unfortunately, the item appears to be extremely overpriced. To solve the problem, the customer simply needs to click on the search bar of his or her browser and navigate over to Amazon. Should that fail, the person might head toJet or conduct a simple Google search. They might seek out even other alternatives. The associated switching costs are infinitesimal. All shoppers need is a few seconds. Airbnb works super hard to get its hosts online. It providesfree professional photographers to help make listings beautiful. The company also provideshelpful advice (e.g., provide soap!) that hosts can leverage to increase the chances their guests have enjoyable stays. This handholding helps bring hosts into the Airbnb family. Which is a good thing, considering how boring the site would be if it only had three hosts (i.e., three suppliers) in each city. YouTube helps content providers produce better videos. The site offers a ton of free tools, including digital studios, editing support, and analytics. It also offers revenue sharing. Altogether, these perks translate into the reality that there are practicallycountless users uploading infinite hours of footage to the site. Not only can you make better videos, you can make money. Ashley Madison, the online dating site that encourages infidelity, infamously went as far as creating fake supply to encourage users to engage with the platform—something that was uncovered when the company’s private data was posted online. According to its own statistics, Ashley Madison had 31 million male users and 5.5 million female users. Turns outup to 95% of those female users weren’t real, but the site’s owners had to figure out how to keep the male users coming back. If you build it, they (customers) will come—assuming there’s enough supply of whatever it happens to be. By focusing on the supply side of the equation, it becomes that much easier for your startup to reach the next level. Last weekend in Pune, India, Fresco Capital along with our longtime partner, e-Zest, produced a 24 hour hackathon about building bots. A few weeks ago, I explained why a Venture Capitalist is running a developer hackathon in India. Our main goal was to learn about bots by seeing what developers are currently doing with bots and using that to look into the future of bots. At the hackathon, we had over 125 developers pounding away at the Facebook, Microsoft, Slack, and other bot frameworks. After looking at over 50 bot applications, we learned a lot. The most common thing that stood out was that most of the users interacted with the bots in some form of chat client. Facebook was by far the most popular interface for the bots, however, we saw a lot of Slack, Microsoft (Skype), and even a few using Hipchat. One team wrote their own chat interface to interact with the bot. The second common thread was that for these chat interfaces, most apps integrated some form of natural language processing (NLP) into their interface. Very common, but not nearly as ubiquitous as NPL, was a voice interface. By far the most common bot category, we saw integration with many 3rd party tools. For example, Hotel booking with Trident Hotels API in Slack, Skype integration with an internal timesheet application, Pipedrive integration with Slack, Glassdoor integrated with Facebook Messenger. One very creative bot consumed the API of the host and gave you many useful statistics about the conversation thread you are in. These are the most common bot application as 3rd party integration is the logical use of bots based on the current technology and user comfort level with bots today. We saw a few bots, including the overall winner, interact with hardware such as the Raspberry Pi. Still interfacing via a char client, but controlling external hardware. This is part of the future of bots, allowing a bot to interact with your TV, music player, and car. While you can build bots with traditional software development tools, we saw a few tool oriented bot applications. One of the finalists was called "Magic Bot” and they would build your bot for you if you gave the tool your API and a list of commands. We also saw some home grown interaction clients that would also learn you behaviors. Clearly these developers view a future where everyone will be rushing to release a bot, similar to a time where everyone wanted a web site or mobile app. Our interaction with the Indian ecosystem was very fruitful. I got to meet over 25 startups at the Startup Pitch event that was co-located at the Hackathon. Big trends were team collaboration tools (not surprising in a market known for remote development), health care, and consumer based apps. Startups seem to have access to early stage capital, but mid to later stage capital is hard to find. Indian startups can be categorized into something that is either hyper local or something that is very global from the onset. I was not expecting to see such a mature ecosystem and was blow away. Planners from all over the world try to replicate the success of Silicon Valley with varying levels of success. Everyone from New York City (Silicon Alley) to London (Silicon Roundabout) to Hong Kong (Silicon Harbour) to Moscow (Skolkovo) has mimicked Silicon Valley in an attempt to build their own version of the lucrative startup hub. The problem is that Silicon Valley has unique features that have allowed the region to become the world’s center of gravity for innovation. Simply copying the things that allowed Silicon Valley to become such a success won’t work, as some regions have already discovered. The tech hubs need to play to their strengths and evolve in their own unique ways. It’s easy to see why governments want to create their own version of Silicon Valley when looking at the valuations the California region is blessed with. There are now at least 74 startups there valued at more $1 billion each. The total value of these so-called “unicorns” is $273 billion. The reasons for Silicon Valley’s success are many and most of them can’t be easily copied. Geographically, the region is perfectly located near San Jose, San Francisco, and Oakland. Historically, Silicon Valley has experienced decades of success with well-established companies like Google, Facebook, Apple, Fairchild Semiconductors, Intel, Tesla, and other esteemed companies. In Silicon Valley, everyone knows somebody who has gotten rich off of stock options they think they’re smarter than...which in turn propels them to take a risk at a startup. Perhaps most important for the region’s growth is this competitive and creative culture that continues to allow so many companies to thrive. Not to mention, an endless supply of elite students from Stanford and Berkeley graduate (and dropout) each year to create the next crop of potential tech giants right in the Valley. But this formula can’t be bottled upon and shoehorned in anywhere. The wealthy people in San Francisco might work at Google and the likes, yet in Hong Kong and New York, the upper class tend to come from finance, and in Los Angeles it’s Hollywood—hopefully you get the idea. This still doesn’t stop governments and business people from trying to replicate Silicon Valley without taking culture and demographics into account. Every would-be tech hub has its own unique characteristics and features that need to be taken advantage of. If you go to a Starbucks in Los Angeles, you’re likely to bump into a celebrity or similar entertainment personas. For Hong Kong or New York City, odds are high that you’ll fall into a conversation around recent market performance and SEC developments. Playing to a specific region’s strengths helps lead to success. Modeling a hub exactly from Silicon Valley in areas that don’t carry the same characteristics becomes a major disadvantage. New York, Hong Kong, and London are better suited to be fintech startup hub than Silicon Valley. Los Angeles is better suited to be an entertainment startup hub than Silicon Valley. Playing to those unique strengths make more sense than trying to replicate Silicon Valley. Government benefits are a welcome way to help foster startups, yet they’re only the baseline and not the endgame. All those helpful benefits (friendly tax policies, real estate deals, subsidies, incubators, etc) only go so far. The barriers of entry to create a tech innovation center in the vein of Silicon Valley are so high that these benefits are simply the table stakes. A bigger, greater hook is needed for regions to succeed. Regions need to embrace what makes them unique and build off of that. With everyone trying to copy Silicon Valley, there’s plenty of room for new players with their own strengths. Any place that simply tries to do exactly what Silicon Valley is doing will pale in comparison to the original. You need more than hope and good intentions if your startup relies on viral growth. You need data and metrics to drive decision making. Going viral isn’t an exact science, but data plays an important role in gauging how successful your customer acquisition efforts will be. Focus on the virality coefficient before all other metrics. It shows the impact of each product choice on growth. The formula, developed by David Skok, illustrates how each new feature impacts your customer base. Virality-dependent businesses need to craft their strategy, and every decision they make, around the virality coefficient to be successful.. Otherwise, you’ll sound like these businesses. A number of companies have pitched me by saying they will “go viral” and attract users when it’s obvious that they have no believable plans to make it a reality. Many don’t even have share buttons on their apps! One company made it so difficult to share their app with others that I never used it again. That’s a virality coefficient of -1. Clearly, their focus wandered. Combine these factors to calculate it using this spreadsheet. Let’s say you have ten users and send them ten invites each (100 total invites). With a 20% conversion rate, you’ll finish with a total of 30 customers after the first campaign. Using the sheet I linked to previously, that gives you a virality coefficient of two. Invites * the conversion rate or rather 100 * .2 = 2. For the next campaign, send out 10 invites to the 20 new users (200 total invites). Assuming there’s no churn or change in the virality coefficient, a 20% conversion rate will bring in 40 new users for a total of 70 users. Look at the below chart to see just how much of impact each campaign can have. Due to its compounding effects, even small changes in your virality coefficient will have massive impacts on your business. There needs to be a coefficient of at least one for there to be growth. Anything less means you’re churning customers. To determine which feature to develop in your product backlog, sort the features based on the predicted increase in the virality coefficient. The backlog should look something like this chart. You need a virality business plan to map out exactly how you’re going to acquire new customers. The plan should determine what features to prioritize, what incentives there are for users to share, and what level of engagement you want to focus on. Don’t forget to determine which promotion channels to use too. Determining what makes user acquisition work might seem like an art, but using the virality coefficient can change that. Use your data to drive the decision-making process. Even a small increase could mean (hundreds of) thousands of new customers over time. 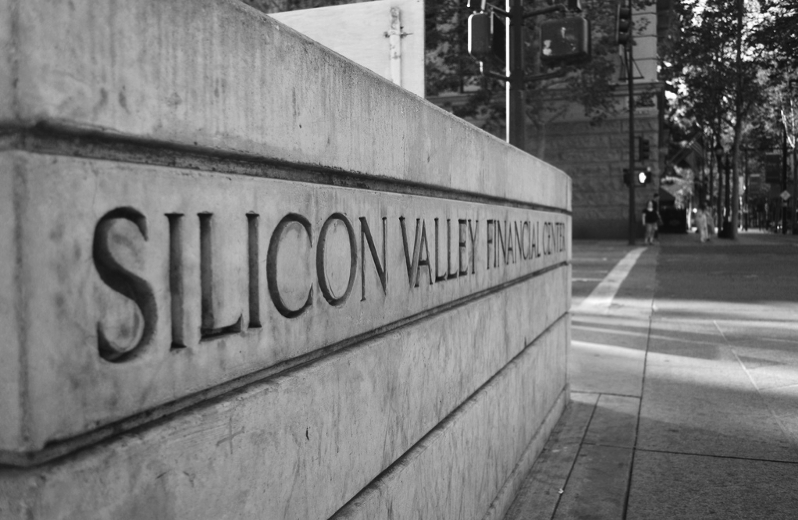 Going on a trip to Silicon Valley with your MBA program or government incubator? Don’t fool yourself into thinking that those weeklong Silicon Valley immersion programs are anything other than startup tourism. Spending a week visiting Facebook and Uber and attending talks and events, while interesting and potentially educational, will not teach you what it's like to build a startup. Sure, you might make some connections and come closer to figuring out what you really want to do for a living. But if you really want to benefit from a trip to Silicon Valley, you are better off reaching out to one of the several early-stage startups here and asking whether you can intern for a few weeks. While immersion programs are designed to introduce you to the world of startups, they don’t go far enough when it comes to actually shining a light on the intricacies of Silicon Valley. Sure you can see the free food at Twitter, swimming pool at Google, and the hiking trail at Facebook, but that is like visiting Disneyland and thinking it is reality. By reaching out to a startup instead and interning there, you will develop real relationships and potentially kickstart a career. You will understand how startups work behind the scenes, and you’ll be influenced by their way of doing business. Actual work experience is going to look a lot better on your résumé than spending a week hardly scratching the surface of the startup world. Think of it like studying abroad. There are two ways to go about it. One is to study at a university where the classes are taught in English, you have no homework, and you can hop around to a bunch of different countries every weekend. You get a broad overview of another culture, but no lasting and profound understanding of it. On the other hand, you could spend a year in another country, live with a host family, and learn the language. You’ll struggle and it will be challenging, but in the end you’ll have an in-depth understanding of that culture, and how it differs from yours. At the end, you’ll belong to two cultures, rather than just one. It’s up to you, but I’d take the latter experience over the former any day. When you attend a weeklong immersion program, you’ll get a light taste of what you could expect should you move to Silicon Valley at some point in the future. But by interning with a company out there—and living and working in the environment itself—you’ll gain unique insights that you can’t get anywhere else. You need to experience them on your own, organically. You might be wondering how you can actually get hired? Maybe you don’t have startup experience yet. Maybe you’re a developer who wants to work for Google, but you’ve only been coding for a year and you just don’t have the necessary expertise. Head on over toAngelList, the best place to learn about which companies are hiring out in Silicon Valley. AngelList connects startups with jobseekers interested in working for them. The site provides you a clear view as to what you can expect should you land a gig (e.g., salary and equity is disclosed up front). The best part? By sending out one application, you can apply to over 40,000 jobs in one fell swoop. Talk about efficiency. Don’t think any startups will take you? Don’t be so hard on yourself. Pitch attractive would-be employers a short project that utilizes your skills. For example, if you’re a communications major, offer to come in for two weeks to consult and intern with them for free, in exchange for a reference. Most startups don’t have any communications or PR plan, and are happy to take free labor. Are you a political science major? Offer to come and do an analysis on the effects new policy or the upcoming elections will have on them. Think no startups care about this? Just ask Uber what they think. If you don’t have any “practical” skills whatsoever? Offer to clean the coffee machines and work your way up. Those weeklong programs aren’t the worst thing in the world. I’ve even hosted them before at my office in Palo Alto. But the payoff is much higher if you actually immerse yourself in the experience for an extended amount of time. Remember, if you’re part of one of these programs, your trip doesn’t have to end once a week is up. Stay a little bit longer. You won’t regret it. Once you start to move out of the coffee shop and build your initial team, you’ll have to make some careful hiring decisions. I’ve seen founders hiring for new “formal” positions right out of the gate when all they need are operators to validate the business and find product market fit. Instead of finding your next VP of whatever or Chief whatever Officer, you should have no titles until you have paying customers and a product market fit. I advise all the founding team to call themselves “product” on slide decks and email signature (if you do that sort of thing). Early stage team members should not be going to conferences and don’t need business cards, so the title doesn’t matter. Here are a few other ways to manage the early stage hiring processes, and run your startup more effectively. Last year, I wrote a piece called “The Holy Trinity of Product Development.” I argued that it’s important to maintain balance in a company. Often, a startup’s first hires (besides the founders), tend to skew either to the technology side (we need 5 developers! ), or the marketing side. Generally, if the founding team is more marketing-minded, they overhire engineers, and vice-versa. Instead, a company should be customer-centric. To achieve this “holy grail,” the company needs both technology and marketing expertise. In another article, “Why CTOs Should Know Accounting,” I suggested that CTOs also need to understand the business side of your company. It’s important for all of the high-level employees in a company to be able to converse with the rest of the employees. I’d argue that it’s better not to even bother with interviews. Rather, have coffee first. Discuss why they want to work at such an early stage company and review their skills there. If that goes well, then have the potential employee give a presentation to the entire team. It can be on any topic (Was “The Force Awakens a remake or not?” is a perfect choice), and it gives the team a feel for the candidate’s analytical skills, seriousness about the position, and ability to do something different, while it also provides a unique experience for the candidate. If the person is successful on their hiring presentation, I’d suggest the “can we have a beer with them” final check. This one’s really complicated – take them out for a beer with the team (or another social engagement if team members don’t drink). Get to know them on a personal level. When companies scale to be over 25 people, it is much harder to do this with the whole company, but each functional area (marketing/sales, tech, backoffice) can do it with their group and a select few members from other functional groups to join. Early stage companies sometimes have no cash and bring on someone as a “co-founder” with little to no pay. It’s also crucial that you do your best to avoid founder disputes. I wrote a piece on this called “Dynamic Founder Agreements,” but I’ll give you a short summary. I described this agreement like a typical IF/THEN/ELSE. The CTO works full-time and performs all of coding and technical duties of V1, his equity is 50% vestedover 4 years, 1 year cliff. The CTO works part time, is disengaged, or we need to hire developers sooner than expected, his vested equity is reduced by half and he forfeits his unvested equity. Loses board seat. The CTO has to leave the company because he needs a job or a family emergency: if the CTO built V1 then the buyout is a one time payout of $50,000 USD cash or 2% vested equity, if the CTO did not build V1, the buyout is 0.5% vested equity. Loses board seat. While you might not avoid all disputes, this agreement will go a long way. Once your company grows and matures, deliberately hire slow. "Scale" and "move fast" does not mean "hire crazy fast." Rather, hire for a role only when it is obvious the company is suffering without it. There is a Silicon Valley secret that dictates that “you make a decision to join a company ONLY if they are resource-constrained. Once they have enough people, time to move on.” The idea behind this secret is that creativity needs constraints. Translation: if your plan calls for ten people, see what you can do with five. Use these tips when building out your initial team. Don’t fall into the hiring trap.